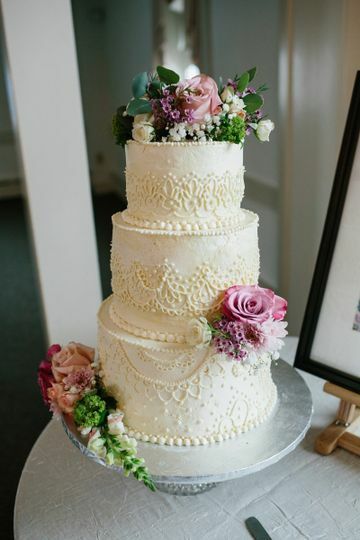 Inspired Confections is a wedding cake business based in Christiana, Pennsylvania, that specializes in creating delicious and unique desserts. 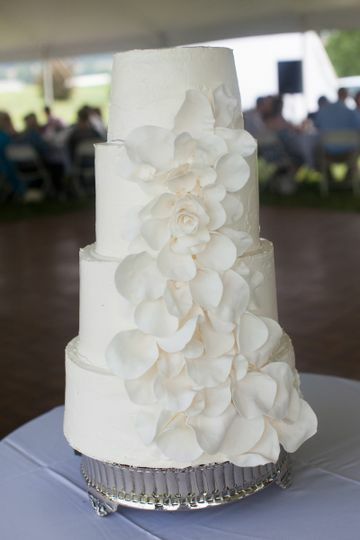 Their cakes and desserts are carefully designed to fit each couple's vision and wedding style. 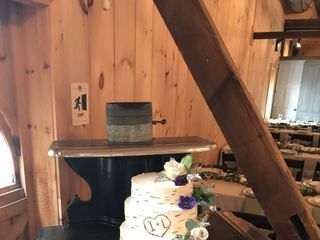 Each cake is a little different than the next. 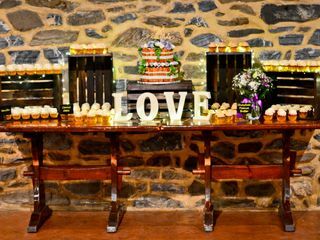 Choose Inspired Confections for your special occasion! You will not regret it!!! Becky is an absolute pleasure to work with! 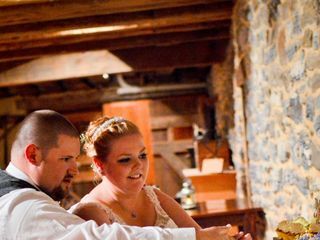 Everyone at our wedding raved about the desserts. Prices are so reasonable! I know people have spent what I did on a whole dessert bar just on cake alone. 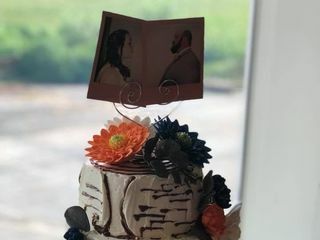 All I did was send Becky a couple pictures of cakes we liked and see created the perfect one for our day! Can't go wrong choosing Inspired Confections!!! From the initial meeting and tasting, we knew that our experience with Becky and Inspired Confections would be different. 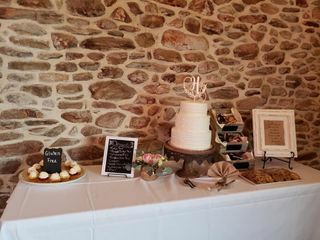 After serving us over 10 different cupcake options, we settled on a large classic wedding cake, 200+ cupcakes of different flavors, and delicious truffles that would serve as favors. Becky was so responsive and flexible throughout the process, even agreeing to package up the truffles using the boxes and stickers I provided. Everything was simply delicious! Our guests are still savoring the last of the cupcakes and truffles and enjoying every last bite! Thank you Becky!!! Highly recommend!!! Becky was so responsive from day one! 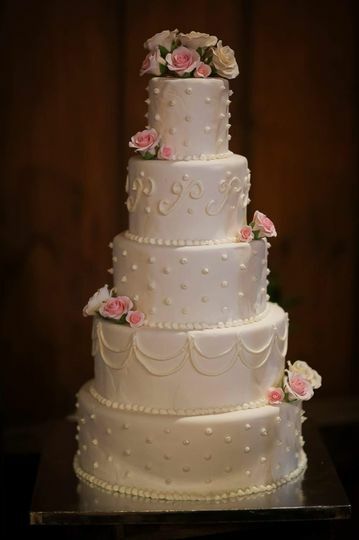 We were able to do a tasting which was amazing and to be honest I could have had any single one of them flavors for the cake and would have been satisfied because they were all great! Even my husband who says he doesn't like cake enjoyed it too! 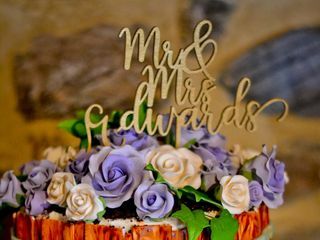 We wanted something super simple for our rustic wedding and that is what we got! There was never any feeling of being rushed or pushed it was a very easy process. 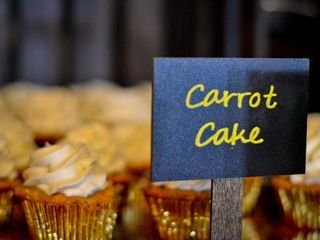 In addition to the cake, we had gluten free cupcakes for some of our guests and they LOVED them!